Breathable, wind and waterproof. Taped seams. Lining of quilt. Belt loops. D-ring. 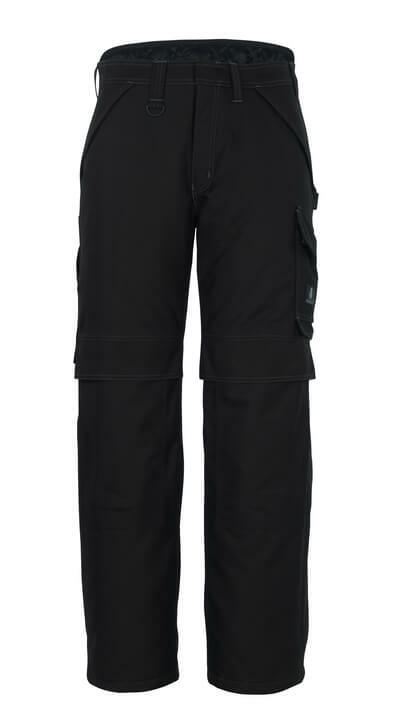 The waistband is higher at the back, to better protect against the cold. Fly with zip. Front pockets with flap and press stud fastening. Back pockets with reinforcement and hidden press studs. Hammer loop. Thigh pocket with flap and press stud. Ruler pocket. Zip with storm flap on outerside of lower legs. Adjustable knee pad pockets with flap and top access. Reflectors.